Our experience with septic systems dates back to 1965. 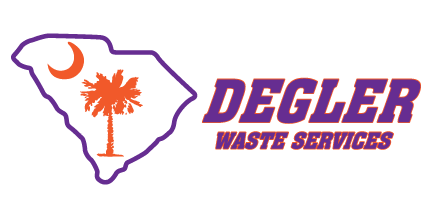 Septic systems have been a common method for waste disposal in the Beaufort, South Carolina for a very long time, and here at Degler Waste Services, we’ve been involved in keeping them in top condition since 1965. As a long-standing provider of services for septic systems, we’ve gained the trust and respect of the community as the ones to turn to for maintenance and drain field installations. While septic systems are overly complicated systems, it is imperative that each component be working properly to avoid backups and keep your property sanitary so that children and pets can play safely. A system that isn’t getting the care it needs can really let you down when it fails prematurely. Our goal is to assist you with avoiding that by providing timely maintenance and providing sound advice about how to keep your system operating as it should. We’re always happy to discuss what should and should not be introduced to septic systems and how a bio-force chemical can help break down solid waste. We recommend that septic tanks be thoroughly emptied and professionally cleaned every 3 to 5 years as a general rule of thumb. However, if you use your garage disposal regularly, have a large family or frequent guests, or otherwise put added pressure on the septic system, you could need it done annually. It is also a good idea to have septic systems checked out every couple of years, especially if you suspect a problem. If you have any questions about septic systems or about the services we provide, don’t hesitate to contact us. At Degler Waste Services, we offer high-quality services for septic systems in Ridgeland, Wellford, Lyman, Spartanburg, Inman, Tryon, Landrum, Greer, Taylors, Greenville, Mauldin, Simpsonville, Travelers Rest, Pumpkintown, Lady’s Island, Bluffton, Hilton Head Island, Hardeeville, Beaufort, and Walterboro, South Carolina, as well as Savannah, Georgia.